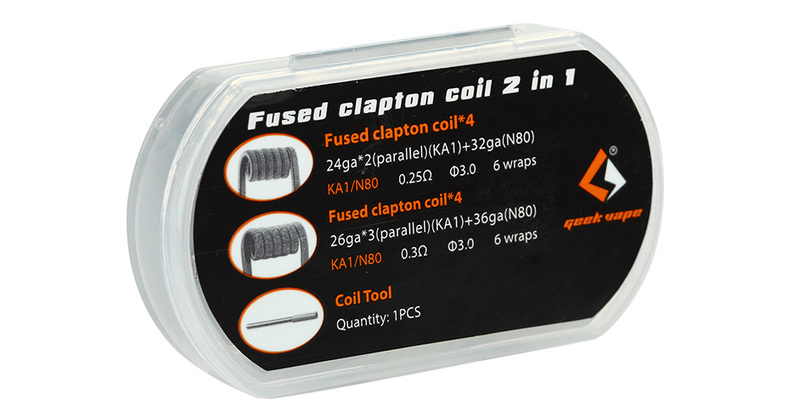 GeekVape Fused Clapton Coil 2 In 1 is a premium Clapton coil made from Kanthal(KA1) wrapped in Nicrome(N80), to evenly distribute heat. Using the highest grade of materials increases durability and reduces carbon deposit. 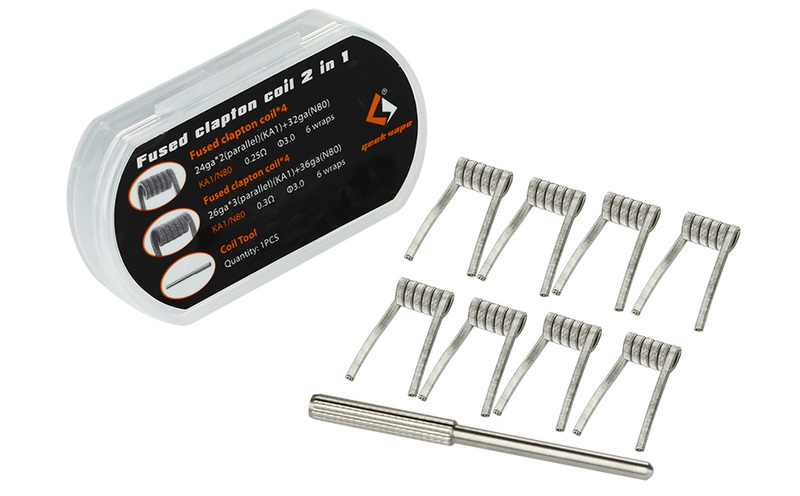 2 kinds coils (8pcs in total) with a SS coil tool. 1. 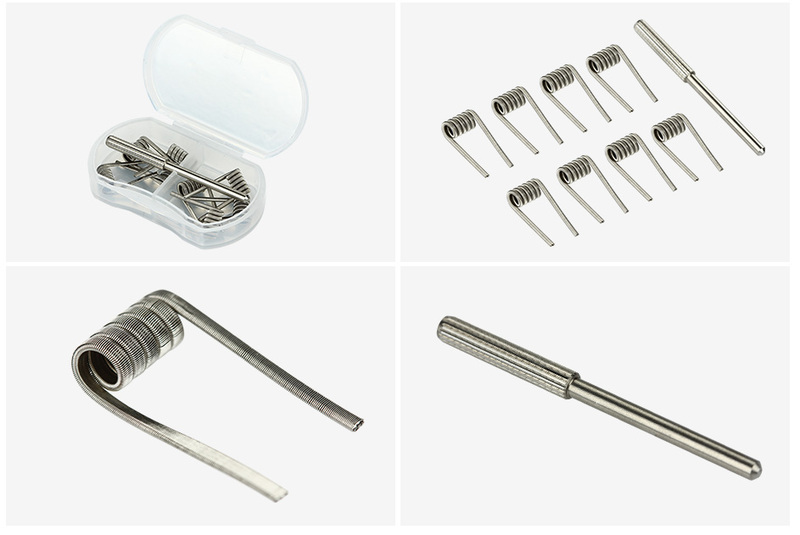 Kanthal A1 + N80 Materials, even heat distribution. 2. Using the highest grade of materials increases durability and reduced carbon deposit. 3. Able to withstand higher wattage. 4. Instant heat up time for vapor production. 5. 3mm diameter rod for easier coil build.